Google’s major overhaul of its old products this season sends out mixed signals. On one hand, some of these products were clearly outdated or not well received and had to be let go. However, it also indicates that Google is changing and changing quickly. With a new hardware business (read “Motorola”) and litigation problems to deal with, the company might not be as encouraged to foster innovation and non-conformism as it has in the past. Google competes in the tech space with other Internet giants such as Microsoft, Yahoo and AOL. 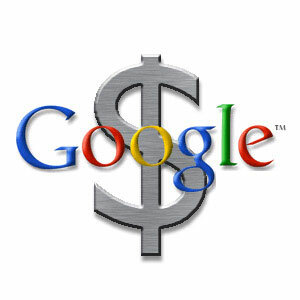 We currently have a price estimate near $600 for Google’s stock, which is roughly 10% above the current market price. Aardvark: A social search tool acquired by Google more than a year ago, which clearly does not fit considering that Google is channeling all of its resources to push Google+. Google Desktop: With Chrome capturing searches on desktops via the browser search bar and Android on smartphones and tablets, Google Desktop probably did not make much sense to keep any longer. Image Labeler: It started out as a leisure activity that enabled users to add their own labels to images though it never gained as much popularity as Google thought it would. Other Products: Many other products such as Sidewiki and Postini have been become insignificant due to declining demand as well as due to the fact that many such products have already been integrated into Google’s core products such as Chrome. So What’s Culture Got to Do With It? While it clearly made sense for some of these products to be shelved, experimentation and independence were the very factors why Google attracts top-notch developers from across the globe. Avid users have to date enjoyed prototype products that came out of Google Labs (which was also shut down in July), with the developers themselves having the flexibility to work on their own personal projects while at Google. Taking this into consideration, the current overhaul seems quite the opposite of how Google functioned in earlier years with the focus shifting from non-conformism to purely industry-driven needs. But Let’s Face It – Google Has Its Hands Full! Managing a hardware business: Google’s acquisition of Motorola Mobility would continue to be a huge ask in the future. It’s not about being quirky and unconventional anymore. This would be about managing a low-margin, capital-intensive business, something Google is not experienced in. Patent litigation: While Motorola certainly eased Google’s patent problems, there seems to be no respite of patent-based law suits against Google and its mobile OS Android, given the cut-throat competition in the global smartphone industry. All this has happened in less than a year’s time, and it’s safe to say that Google is plagued much more by litigation and competition than it was 2-3 years ago. The effects seem to be showing now through what can be described as “product streamlining” (which translates to killing off products). Given the changes in the web space today, it’s fairly necessary for Google to shift its resources from non-essential initiatives to the absolutely essential ones (be it Android, Google+ or Motorola). However, another school of thought suggests that Google might actually be freeing up resources by killing off these products, which should enable it to further invest in new products, which might have a greater market impact than the previous ones. Whether or not Google actually manages to retain its innovative culture amid these challenges remains the big question.